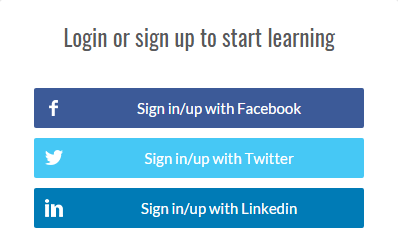 How do I create a new Learner Account? 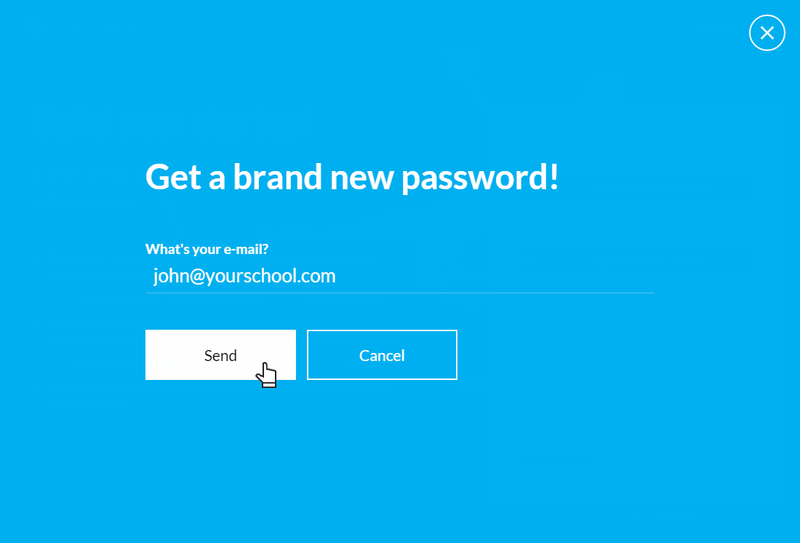 The second option for creating a new account is using your email. 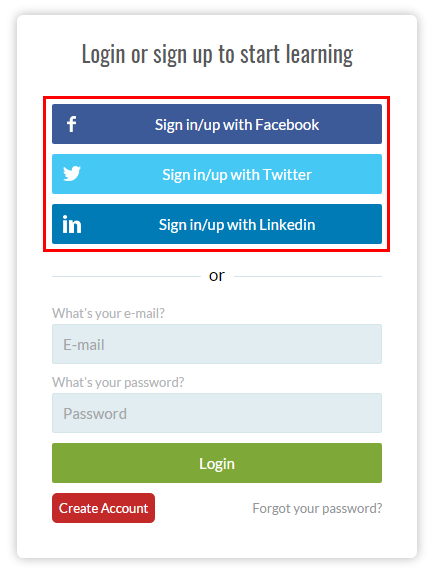 Click on the "Create Account" button that can be found in the login form. 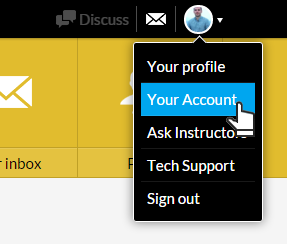 When logged in to your school, click on the “Go to profile” button that you can find at the top left position of the main menu, right below your name. This will lead you to your profile page. There, click on the edit button and start changing your personal info. You can update your name and email, add a short bio so other members of the community can learn more about you and add your social accounts so that others can contact you. 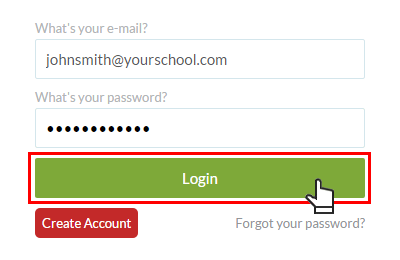 Changing the password can be done from the online school’s log in form (you have to be logged out). 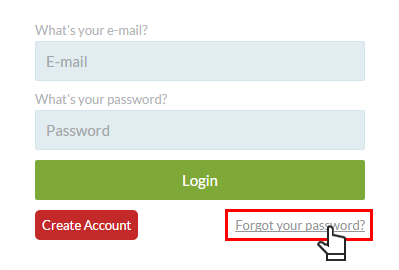 Go to the login form and click on the "Forgot your password?" 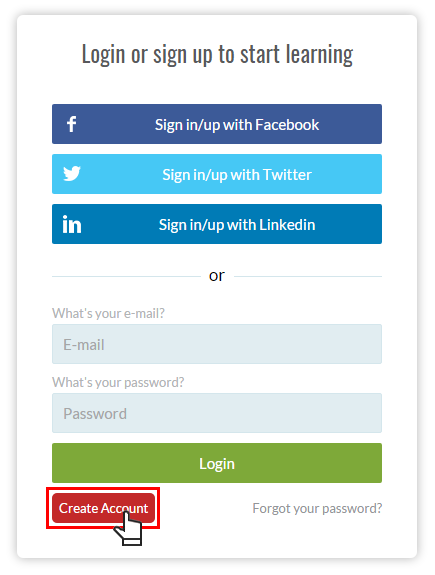 button that can be located right under the "Login" button. Insert the email of your account and click "Send". You will soon receive an email containing a link for resetting your password. If you don’t receive this email after a few minutes, please check the spam folder of your email account as the reset email may have accidentally been held up by your spam filter. 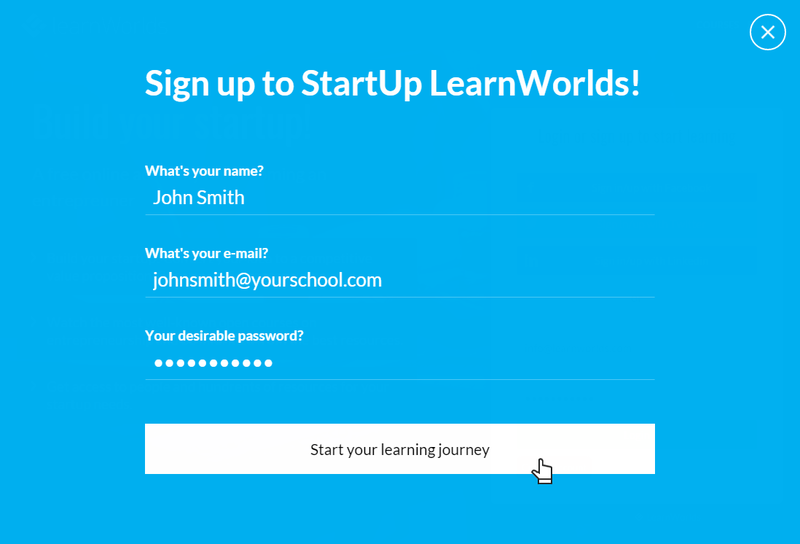 How to send a private inbox message to another Learner? Click on the mail icon at the top. Click on "New message" tab at the top. Select the co-learner you would like to send the message to (start typing "@"" and the name of the student. A list of suggested accounts will appear and you can pick the right one). The fill out your message and click the "send" button. How do I exit from the School? 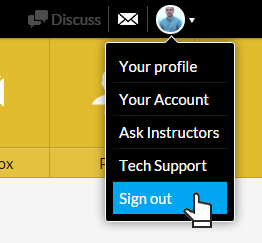 If you want to log out from the online school simply click the “Sign out” option that can be found at the top-right menu. If you have already purchased a course you only need to visit the course’s page and you will have full access to the content. Alternately, you can access the starting page of your school. 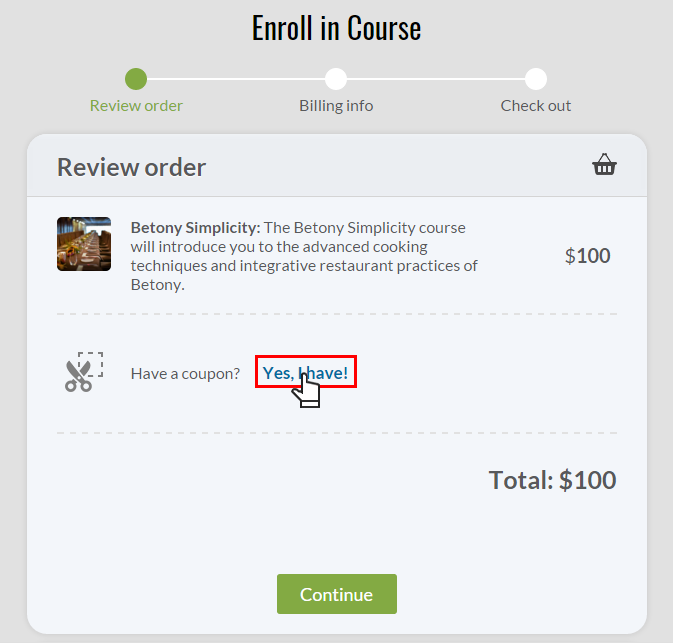 The courses you have purchased will appear at the top of the course list. 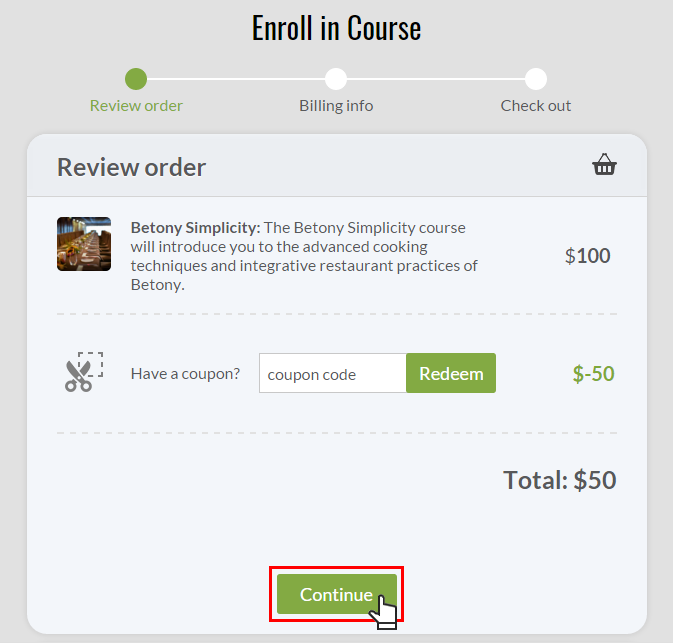 By clicking on a course card you will be directed to its contents. How do I contact the course instructor? How do I navigate inside a course? Once you access a course, you will find a full table of contents at the left-hand side of the screen. You can browse through the sections and access the learning unit you would like to study. In most cases you would be better off when simply following the linear course order proposed by the course instructor. In the future you can always come back re-visit any learning unit you wish. Note that learning units that you have visited/completed are marked with a discrete check mark . All major credit cards are accepted. Off line payments may also be accepted (you can arrange this with the school’s owner). Once your payment has been successfully processed, your course will be immediately accessible to you. If the course hasn’t unlocked despite you payment going through, then please contact the site’s owner and you will be given access to the course asap. How can I see who my classmates are? 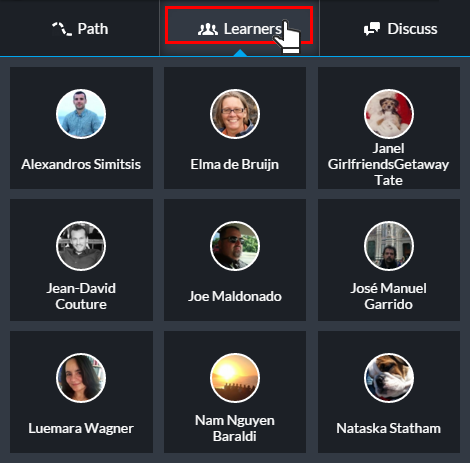 Clicking on the "Learners" button which is located right above the table of contents in a course, you can see all the enrolled students in a given course. 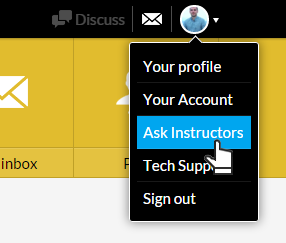 You can also see all the learners of the school by clicking on the “People” button on the school’s main menu. 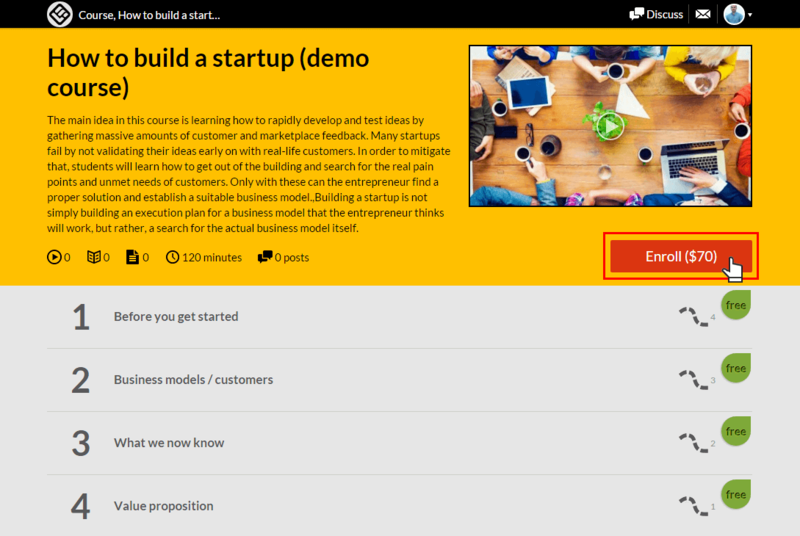 Clicking on the "Discuss" button which is located right above the table of contents in the course, you can access the discussion of this course. You can use this to communicate with your classmates and instructor. Where is the invoice for the course I just bought? You can find fully detailed invoices for all the courses you have purchased in the “Your Account” page, which can be found by accessing the menu of on the top-right corner of the school page. If you made a purchase outside the school then you can contact the school owner/instructor for an invoice.